Analytics Dashboard Design Principles that work! By now, you are probably aware that Cliffhangers Atlas supports extensive Analytics and Dashboards. However, did you know there are 10 key design principles to follow when creating these Dashboards? 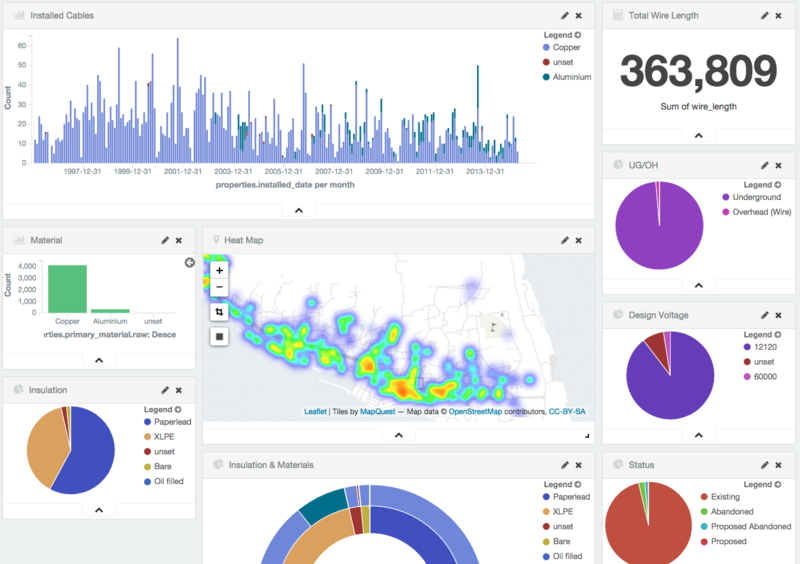 Analytics are meant to provide Total Information Awareness, preferably in Real Time (yes, our dashboards work in real time and even support automatic refreshes! ), however when the information displayed is messy or simply difficult to read or need further interpretation, then wrong conclusions may be drawn negating the purpose of the dashboard to begin with! Hence the following 10 design principles should be kept in mind while designing a dashboard. Cliffhanger Solutions will always keep these in mind when creating them for you! 1.Who will view the data and how is it viewed? Each dashboard should be created with the target audience in mind. Are executives looking at real time plant production data on a desktop or are sales representatives using their phones to look at historical customer purchase data? Not only are we talking about different user groups, but also about different platforms. In general: ensure each dashboard works on all platforms and on all type of devices. Even though our dashboards can have ad-hoc filters to drill down to a specific type of data, it is sometimes better to create a dedicated page, especially if certain filters are applied frequently by the end user. Don’t expect the user to have to do more math after opening a dashboard. Present that expected math on the dashboard it self. If filters are applied a lot, create a dedicated page for that purpose. I.e. when presenting financial numbers, include the EBITDA instead of expecting the user to do that math. Add trends and ratio’s as well, so the user can put things in historical perspective as well (this is often overlooked!). Don’t waste space with unnecessary frills. Grid lines can be useful, but sometimes they make the dashboard look cluttered. Legends can be useful, but very often the title of the chart being looked at says enough. As a dashboard designer: you don’t impress your users with all the goodies you have been able to put on the dashboard to make it look complicated and technical: keep it as simple as possible and the user will recognize that you really put some effort in presenting the right information in a very simple way. Put key information at the top (preferably top left), so that the user sees what he needs to know immediately without the need to scroll, then gradually go down with more detail if that is needed. Name your charts, label axis, but most of all, try to provide comparison numbers or an indication if the shown data is good or bad, meets or exceed expectations, etc. The more fun and the more creative a dashboard is, the more likely the user will come back to it and use it again. However, keep it neat and clean. Each type of chart should be used for its intended purpose. I.e. Pie charts can quickly show how numbers line up against others in the same category. Line charts are great to show patterns and trends. Bar charts can quickly compare data from the same and different categories. Scatter plots are just difficult to read and interpret. Heat maps are great to show trends and spread. This may be obvious, but don’t use too many colors. Use Green for ‘Good’ and ‘Go’ and Red for ‘Bad’ or ‘Stop’. Use fading colors to indicate a sliding scale. Real time is good, up to a point though: an automatic dashboard refresh every 5 seconds can be very confusing, unnecessary, take too much bandwidth and serve no purpose if the source data is updated only once a week!